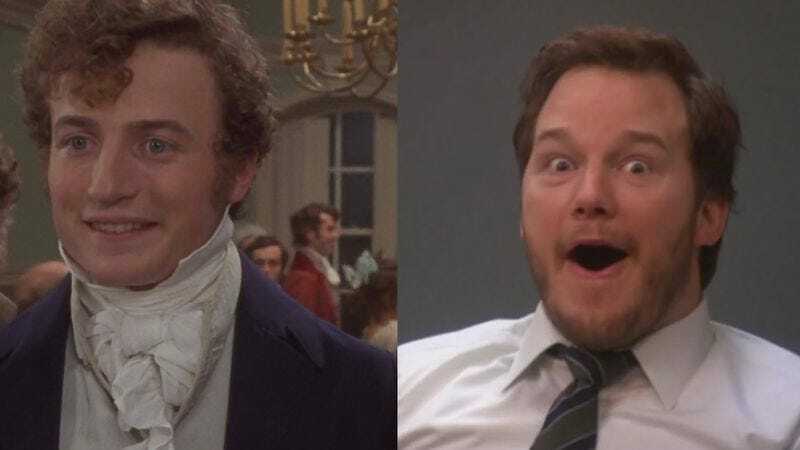 Premised on the now seemingly obvious notion that Bingley is totally an Andy Dwyer type, Pride And Recreation puts Parks And Recreation quotes on stills from the 1995 BBC adaption of Pride And Prejudice. Silly? Undoubtedly. Similar to “Pride And Prejudice 2005 + Onion Headlines”? A little bit! But it works to good effect. The absurd sisterly affection between Parks’ Ann Perkins and Leslie Knope has never been more in focus than when Ann is playing sister Jane to Knope’s Lizzie Bennet. The account is just getting started, and users can submit their own Parks/Pride mashups here.